This retrospective study was aimed at assessing the efficacy of endoscopic dilation for esophageal anastomotic strictures, and to compare response between caustic anastomotic strictures (CAS) and non-caustic anastomotic strictures (NCAS). Patients with anastomotic strictures (enrolled during January 1996–December 2015) were analyzed. Short- and long-term outcomes of dilation, in terms of clinical success, refractory, and recurrent strictures were compared between NCAS and CAS. Patients with refractory and recurrent strictures were managed with adjunctive therapy including intralesional steroids. Factors predicting refractoriness at start of dilation and reasons for more than ten lifetime dilations were also evaluated. Of the 142 patients, 124 (mean age—44.02; males—74) underwent dilation. Clinical success was achieved in 113 (91.3%) patients requiring a median [Interquartile range (IQR)] of 4 (2–10) sessions. The number of dilations to achieve clinical success, refractory strictures, and recurrent strictures, and the use of adjunctive therapy were significantly higher for CAS than for NCAS. Intralesional steroid use decreased periodic dilation index (PDI) significantly in CAS. Caustic etiology and starting dilation diameter of < 10 mm were found to be predictors of refractoriness, with the former alone being an independent predictor of more than ten lifetime dilations. No patient had free perforation; however, five required revision surgery. Patients with CAS fared worse than those with NCAS in terms of number of dilations, refractoriness, recurrence of strictures, and need of adjunctive therapy. 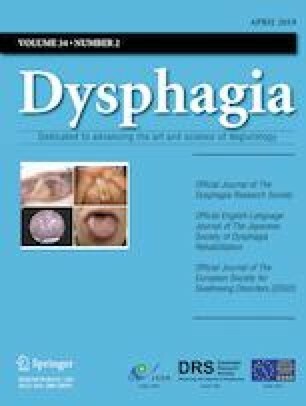 Endoscopic dilation can successfully ameliorate dysphagia due to anastomotic strictures in a majority of patients. The study was not supported by any funding or grants. All procedures performed in the study were in accordance with the ethical standards and formal ethical clearance of the institutional ethics committee of Postgraduate Institute of Medical Education and Research, Chandigarh (20th April 2018 with registration number NK/4377/RES/172) and with the 1964 Helsinki declaration and its later amendments or comparable ethical standards.